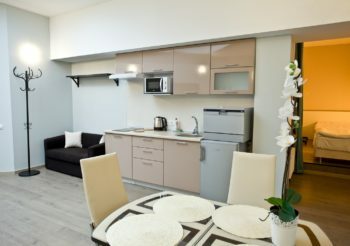 Стоимость номера в гостинице в СПб, цены на отели Санкт-Петербурга. 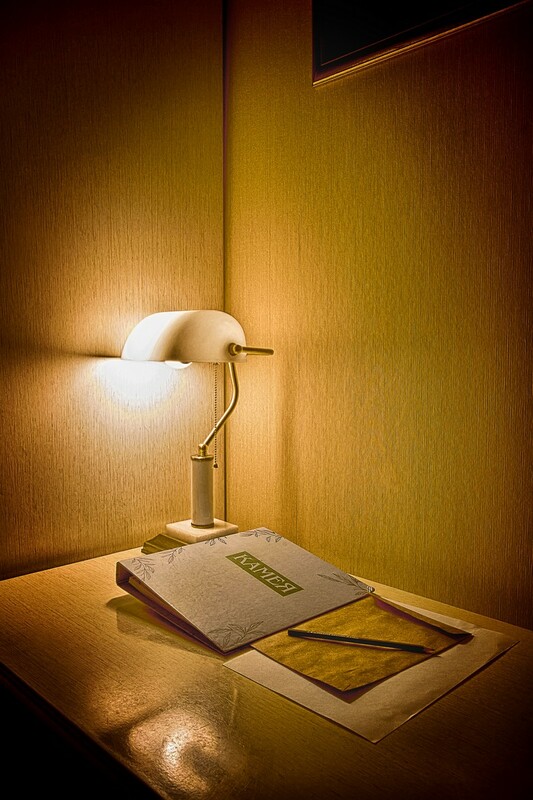 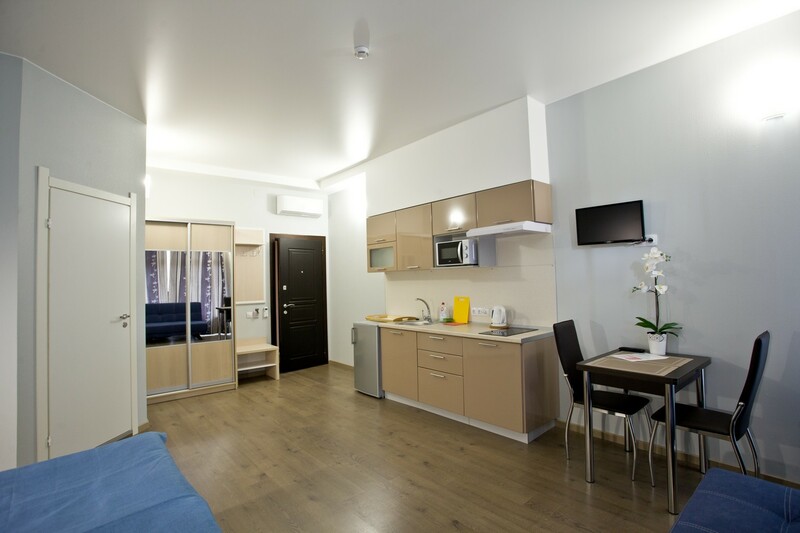 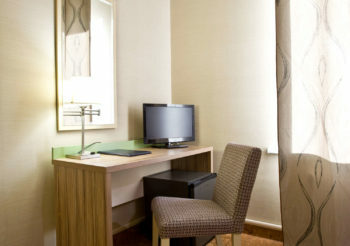 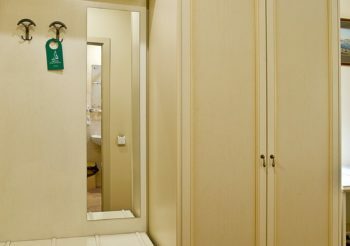 The room of the category “Standard single” is a room in modern style with free Wi-Fi access (14 square meters). 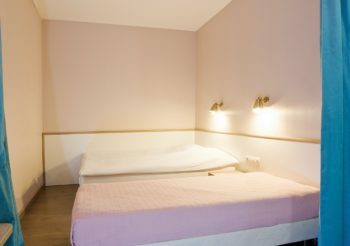 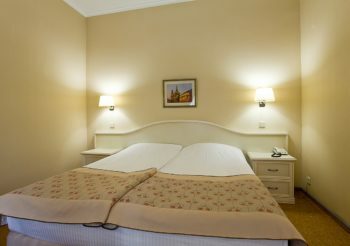 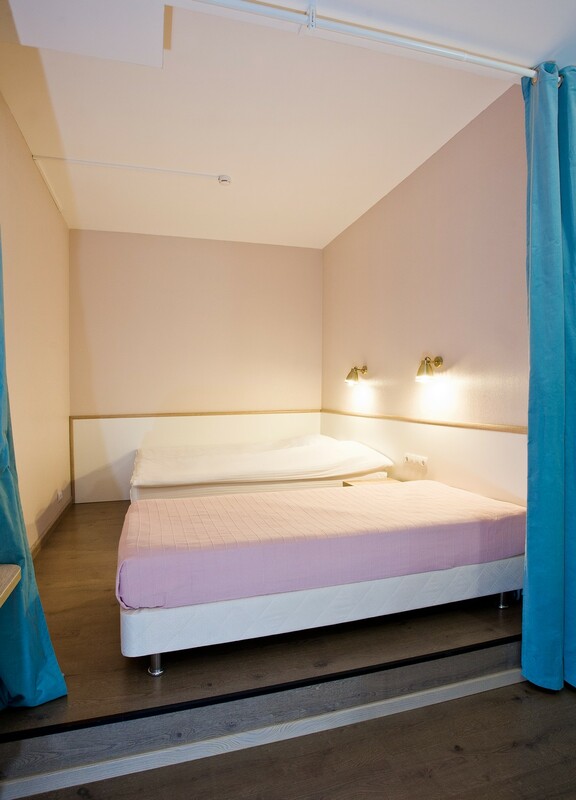 Wide queen-size bed for single occupancy, but on the request two people can be accommodated. 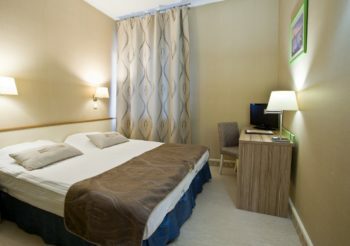 The room is equipped with individual air conditioning and a heater. 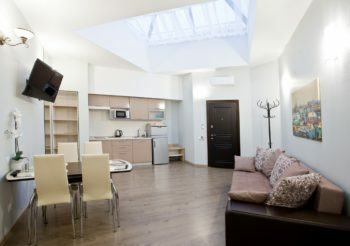 There are several attic rooms. 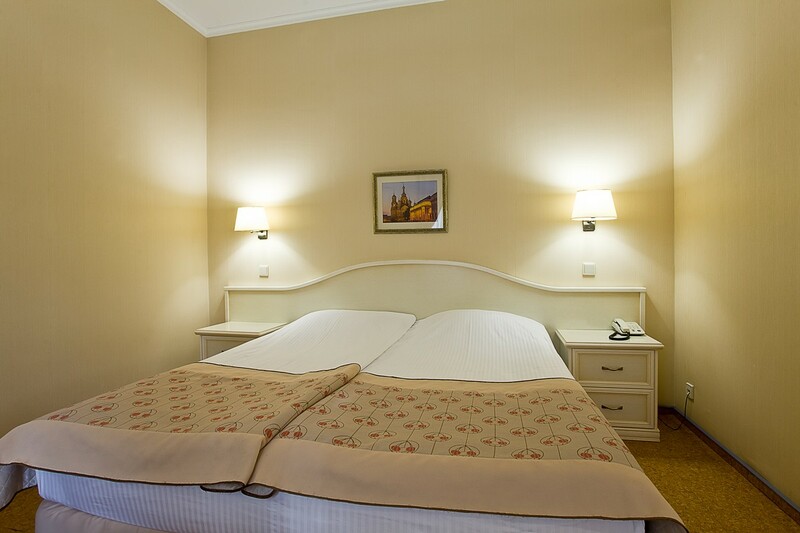 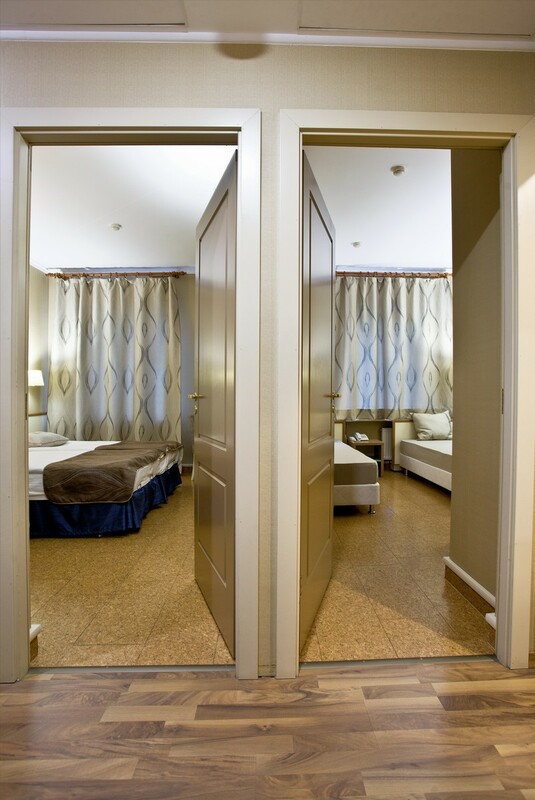 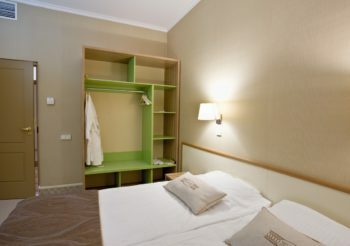 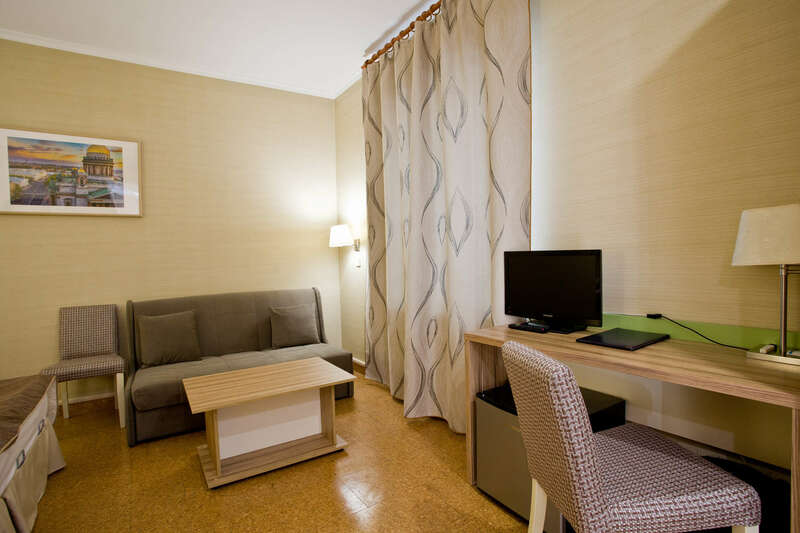 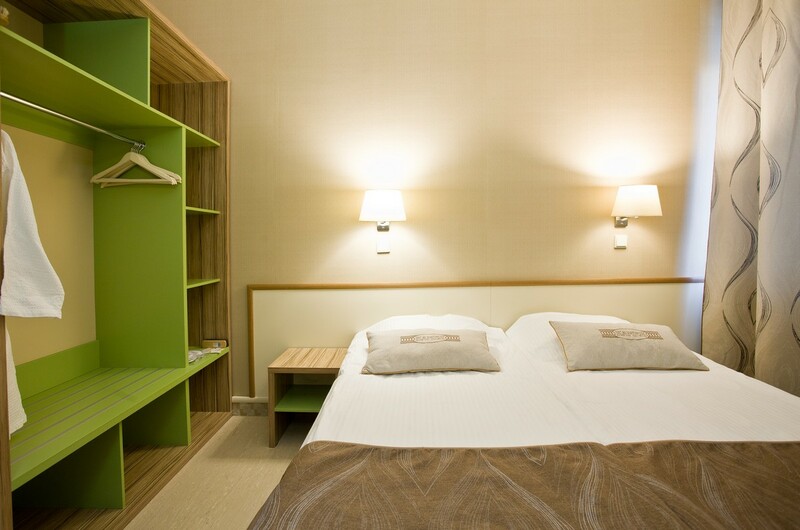 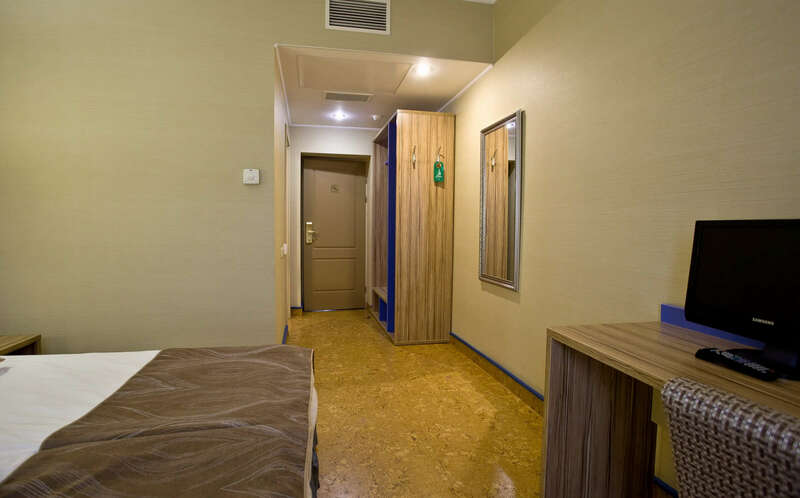 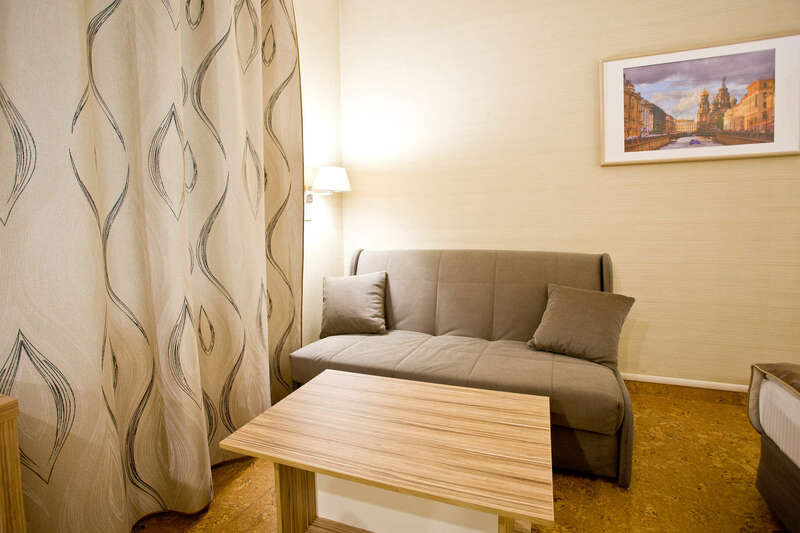 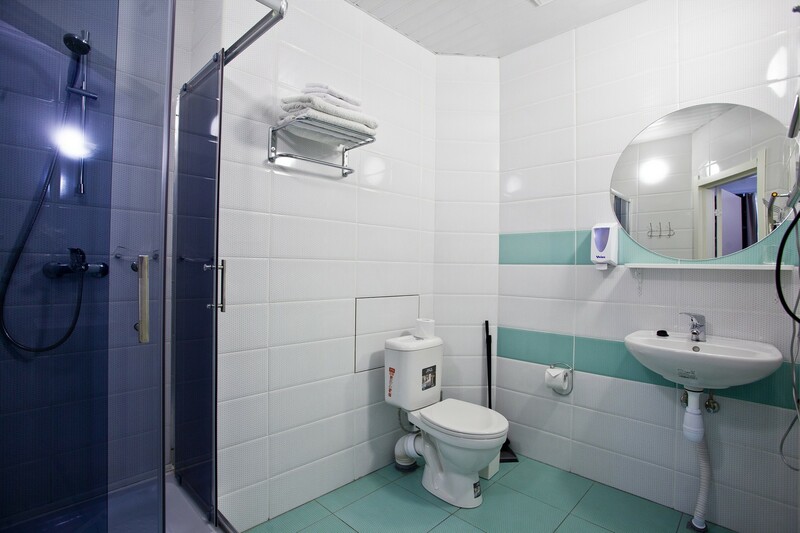 The room of the category “Standard double” is a room in modern style with free Wi-Fi access (18-20 square meters). 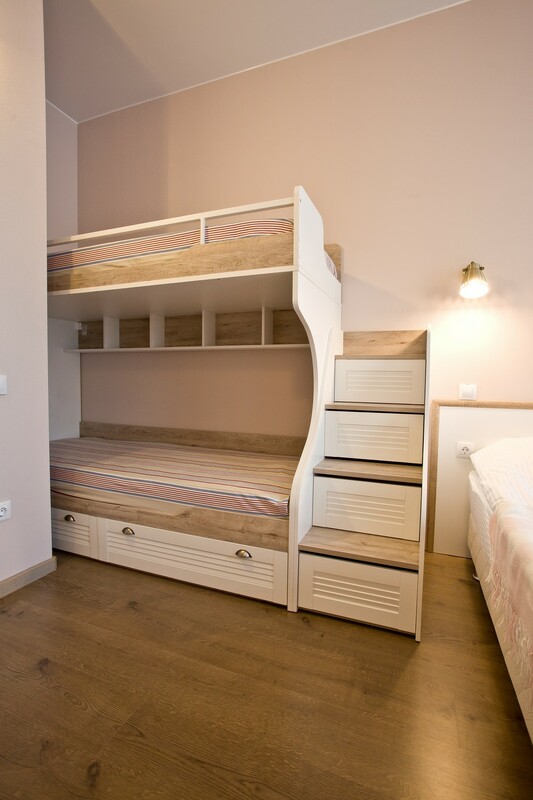 One double bed or two twin beds, according to your wishes. The room is equipped with individual air conditioning and a heater. 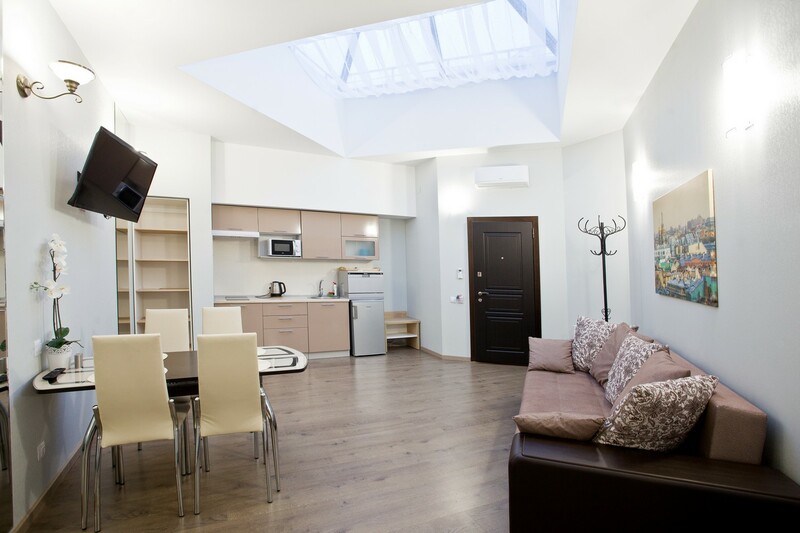 There are several attic rooms. 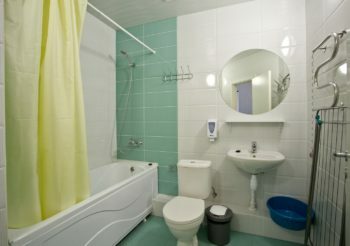 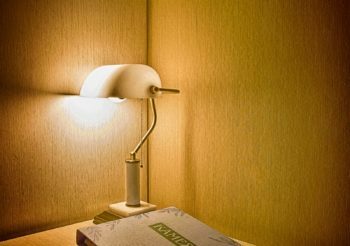 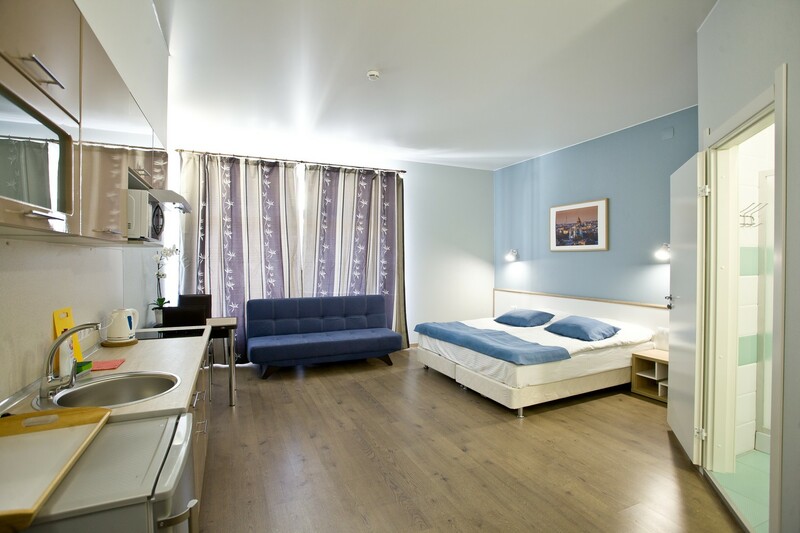 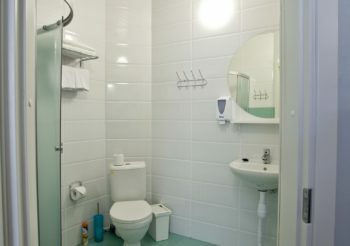 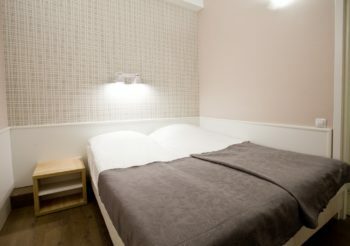 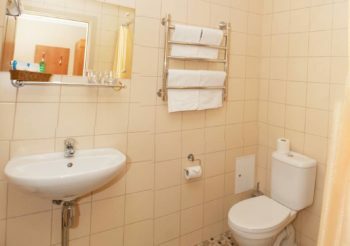 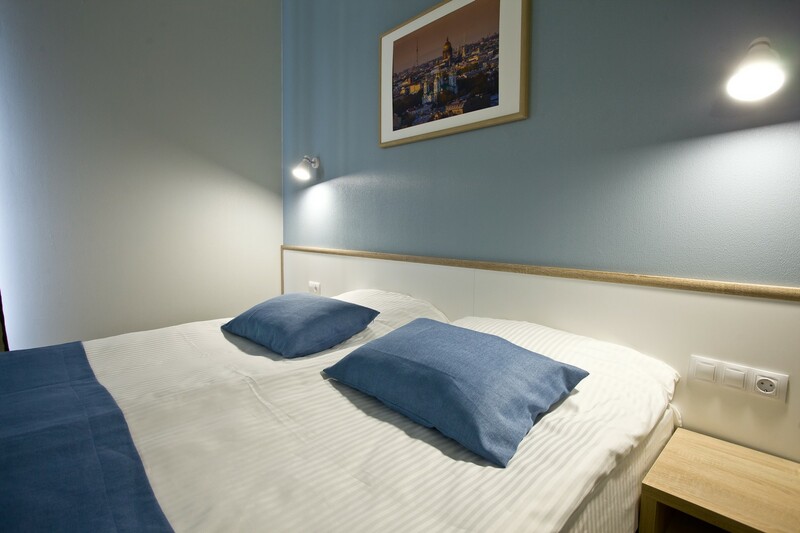 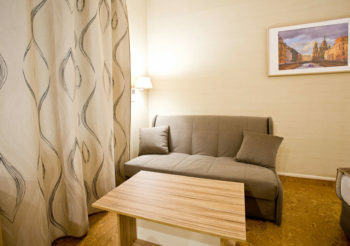 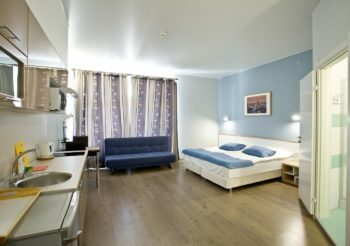 The room of the category “Comfort” is a room in modern style with free Wi-Fi access (23 square meters). 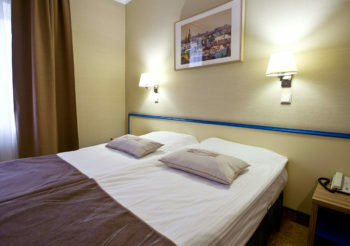 One double bed or two twin beds, according to your wishes. 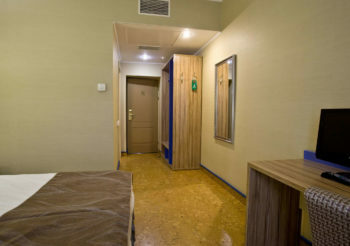 The room is equipped with individual air conditioning and a heater. 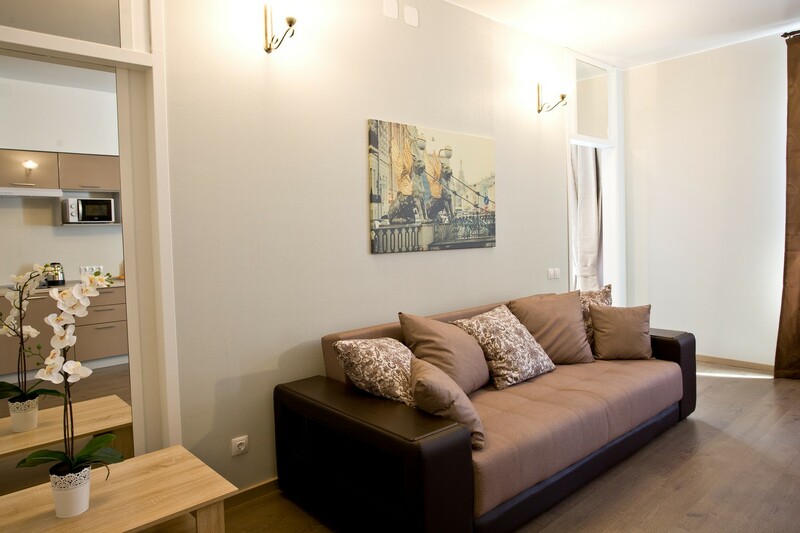 There is an area for resting with a comfortable sofa and coffee table. 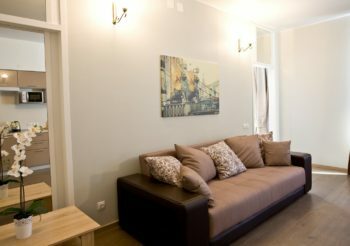 The sofa can be expanded to an extra bed. 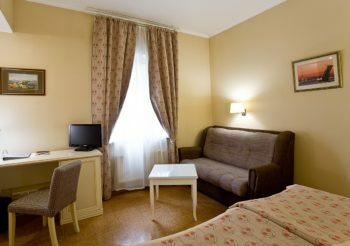 The room “Suite” is an elegant room (23-30 square meters) completed with a soft sofa, an armchair and a desk. 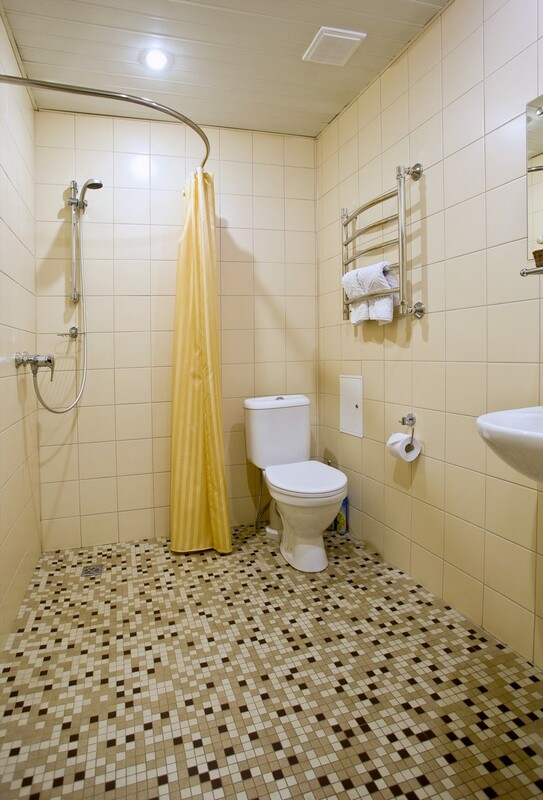 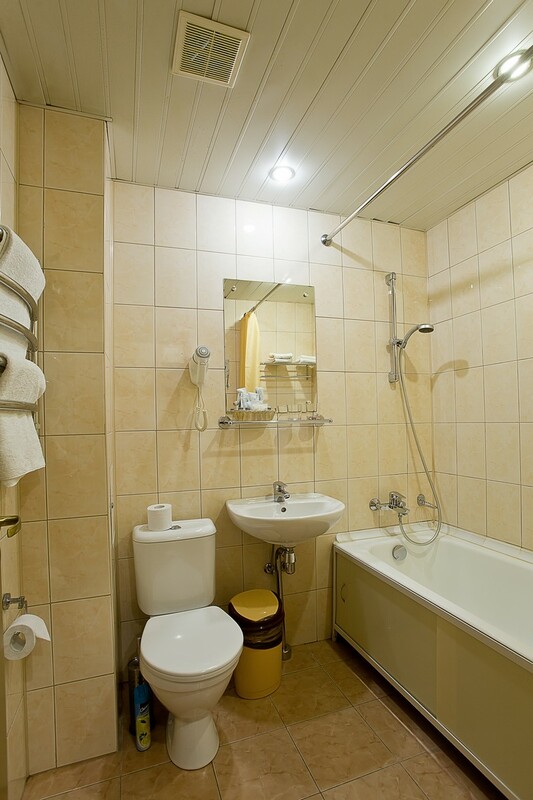 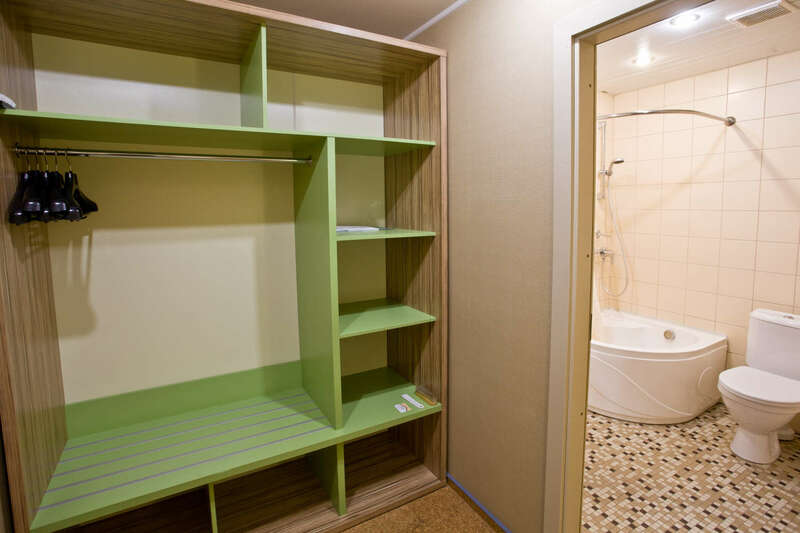 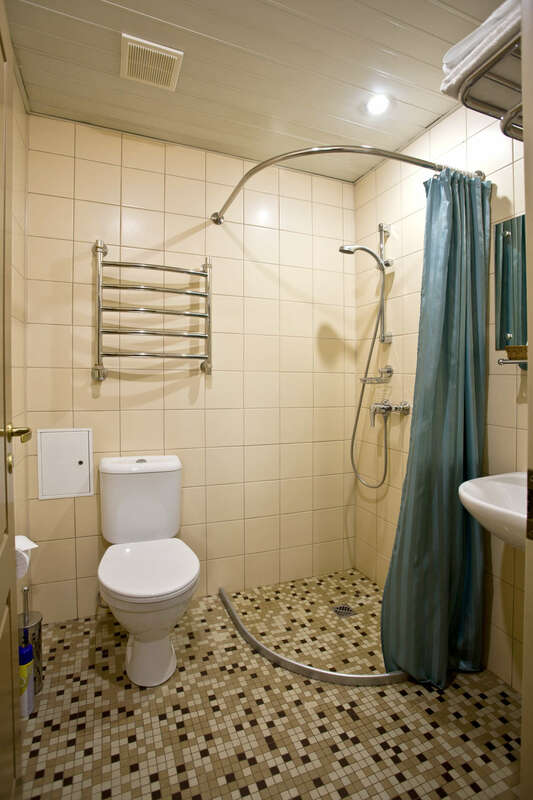 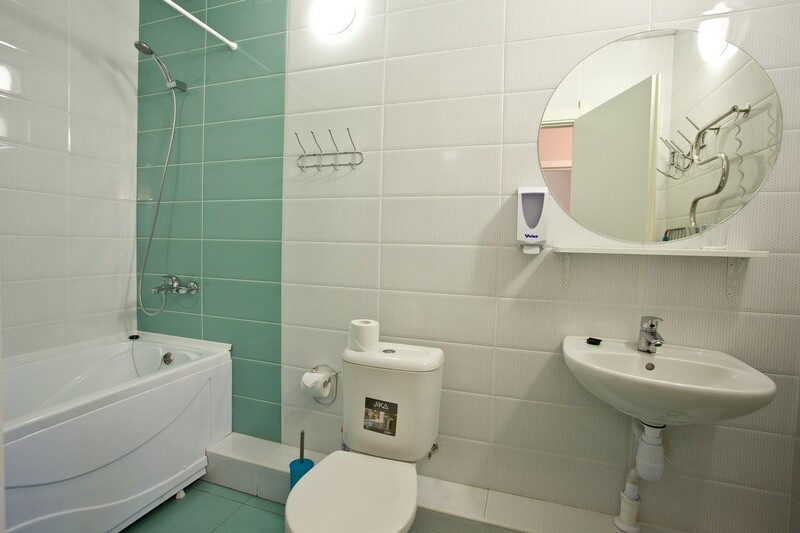 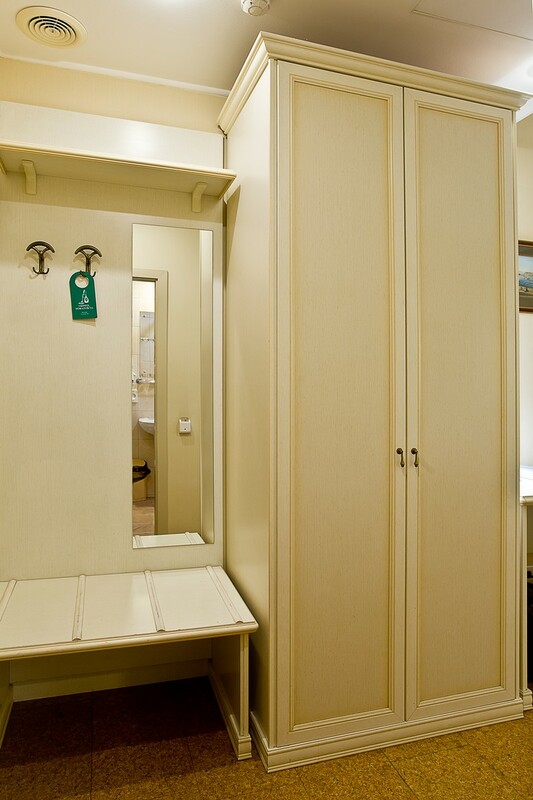 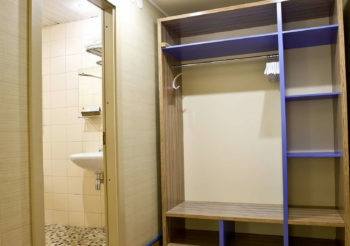 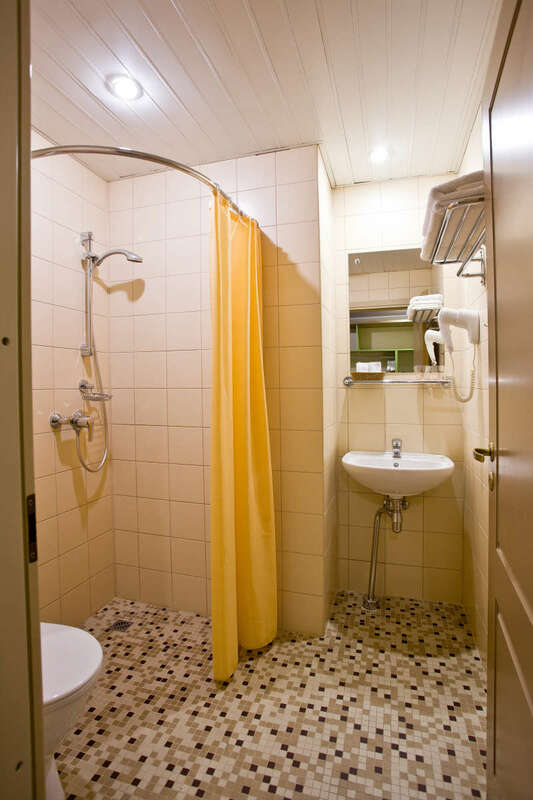 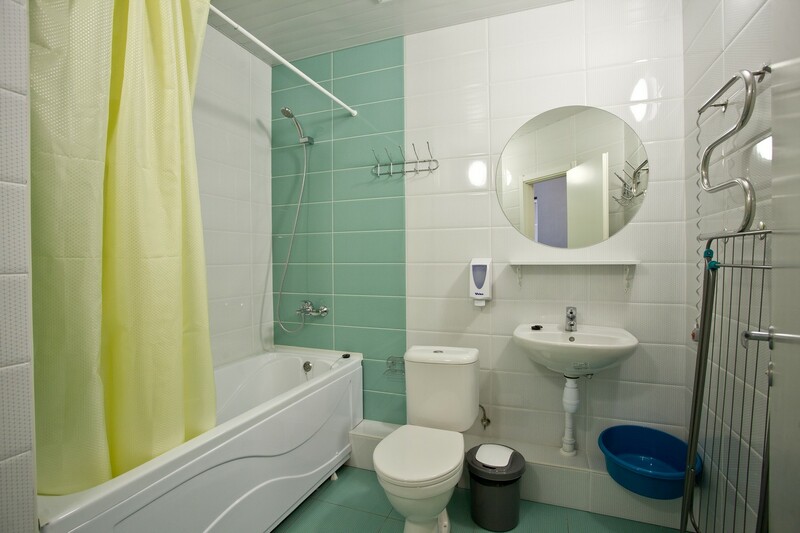 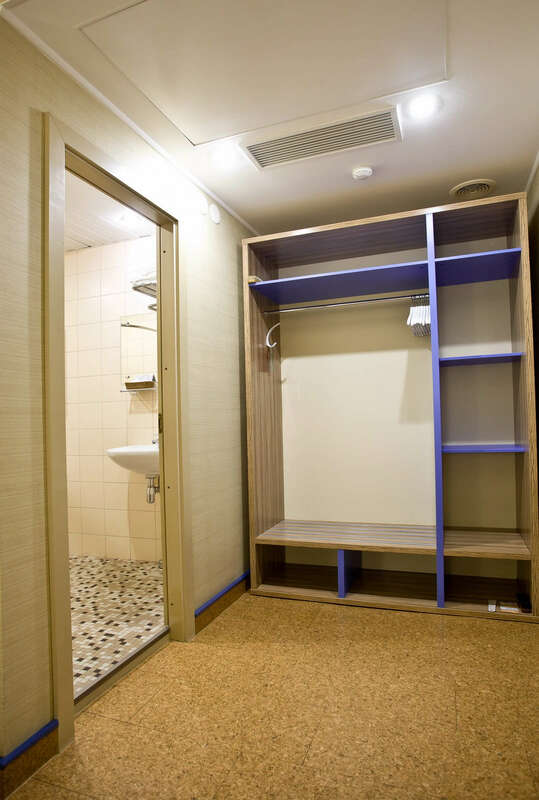 In the bathroom there is a bath set of a bathrobe and slippers as well as all the necessary traveling cosmetics. 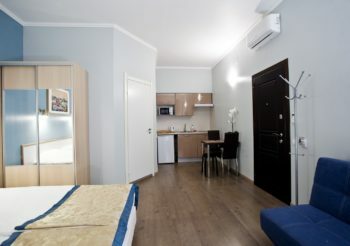 Two twin beds or king size bed, a large comfortable sofa, telephone, TV, individual air-conditioning and radiator. 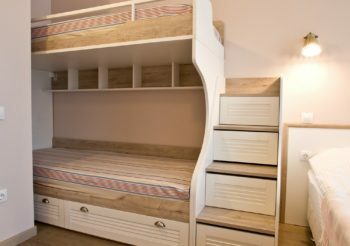 The sofa can be expanded to an extra bed. 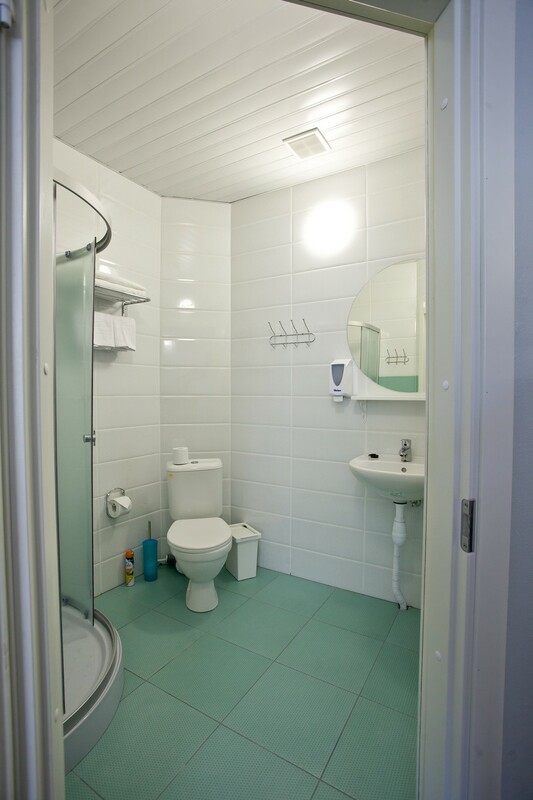 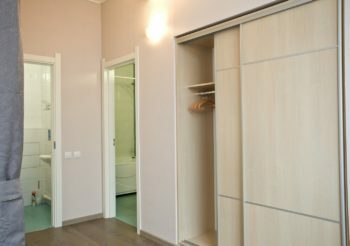 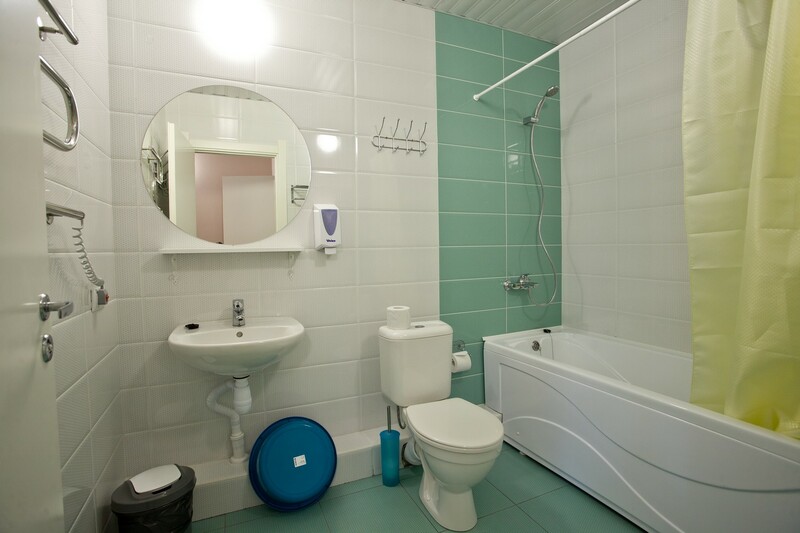 “TWO-ROOM” is a bright modern suit with two separated bedrooms and a bathroom with a shower and is designed for comfortable accommodation for up to 4 adult guests (28-30 square meters). 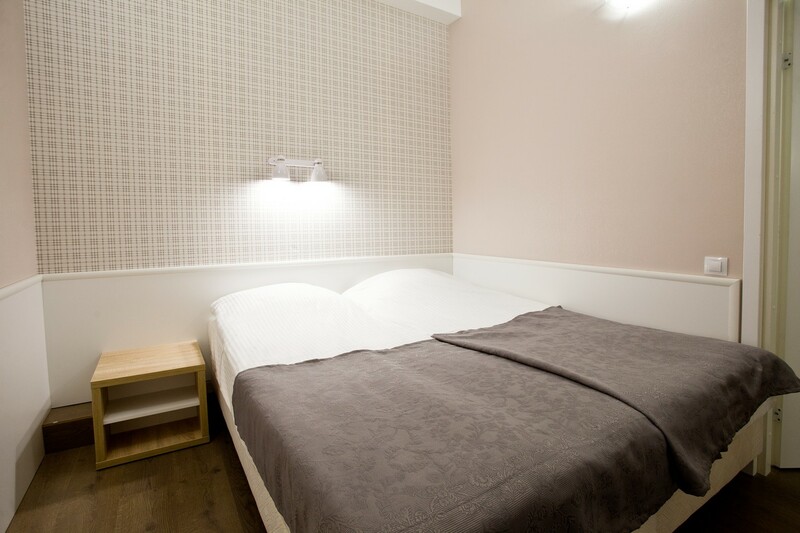 The rom is equipped with everything a family or a small group: 2 single or 1 king size beds in each room, wardrobes, desk, phone, mini-fridge, air-conditioner. 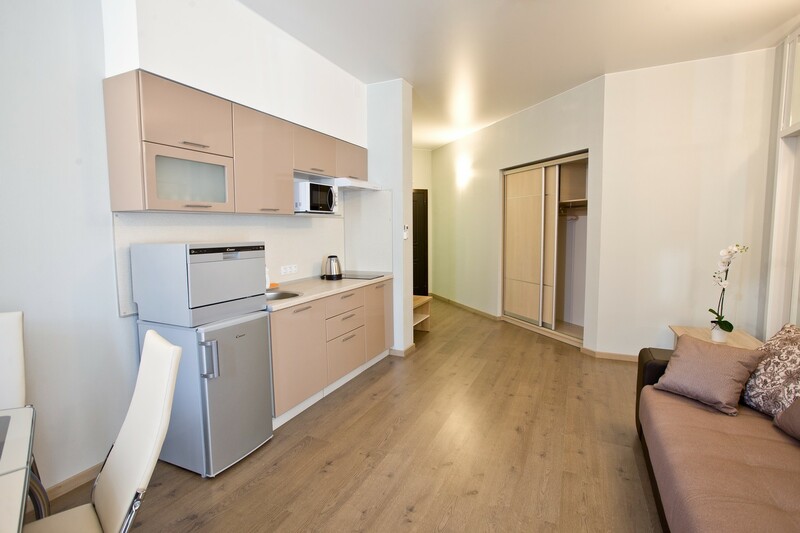 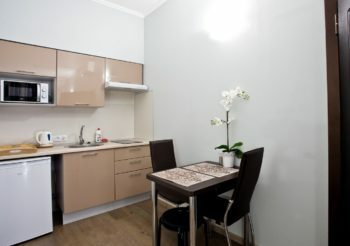 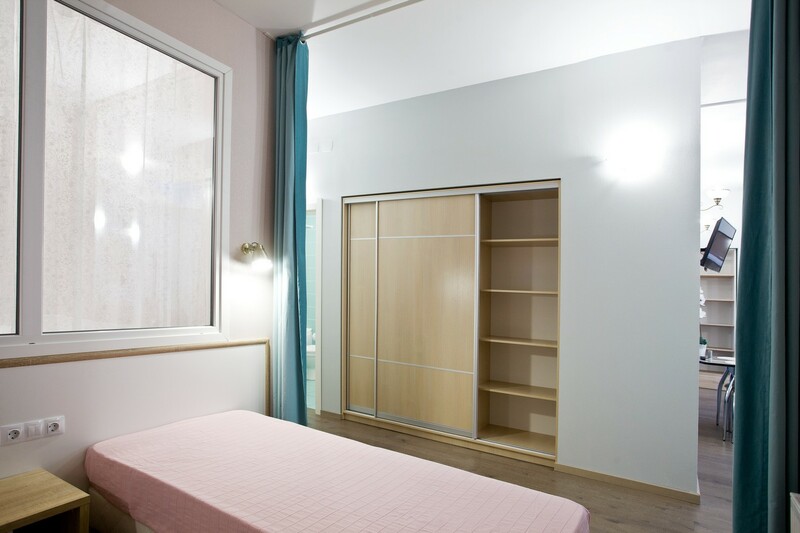 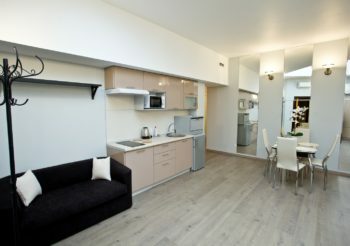 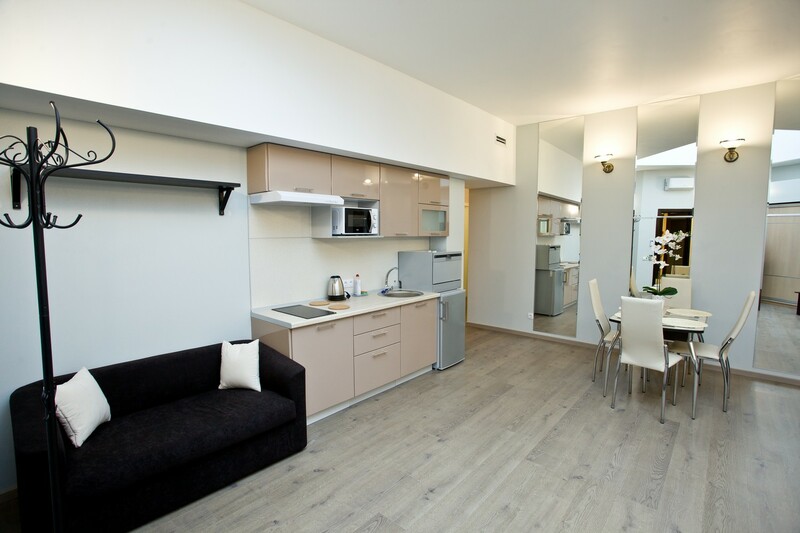 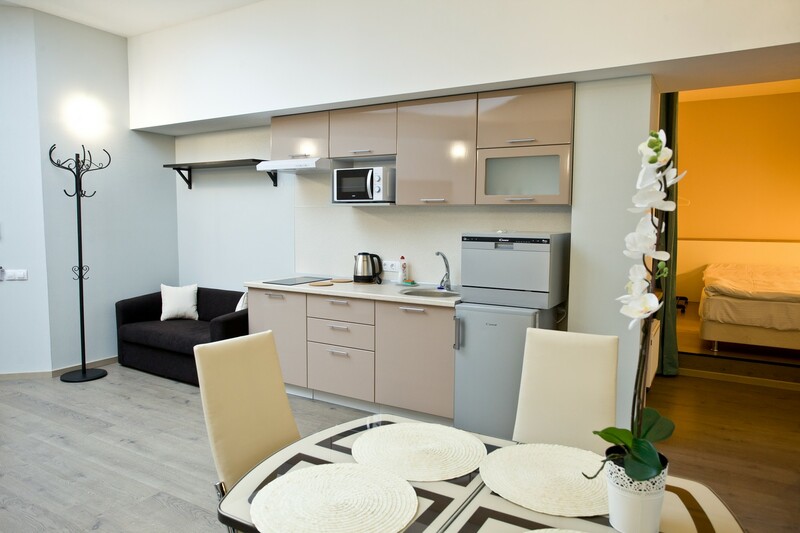 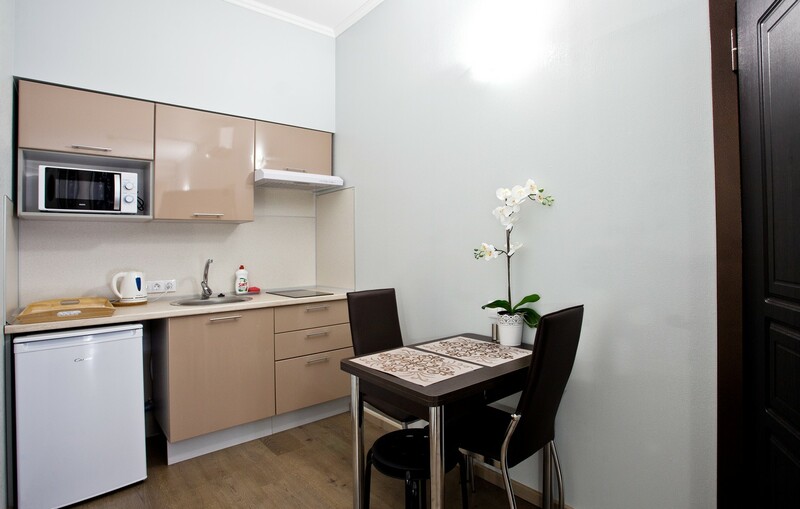 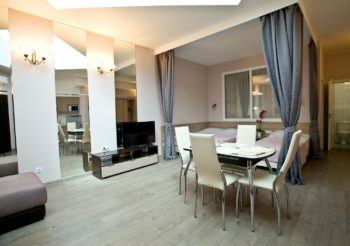 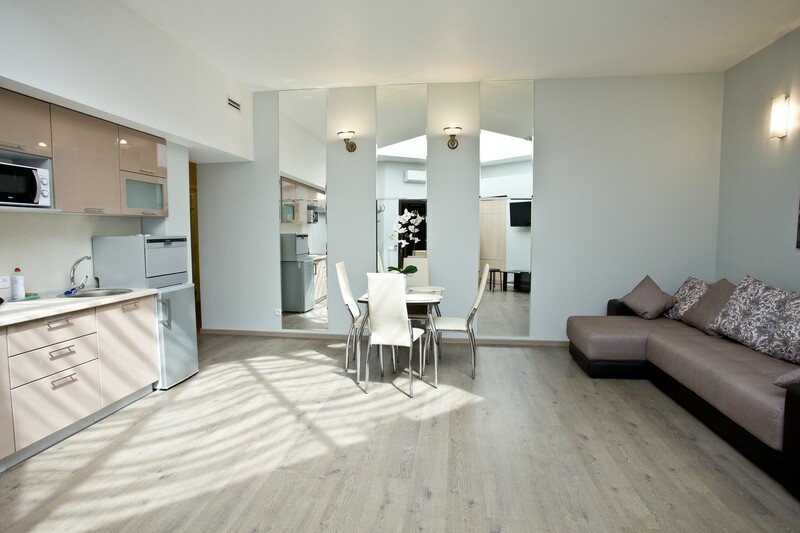 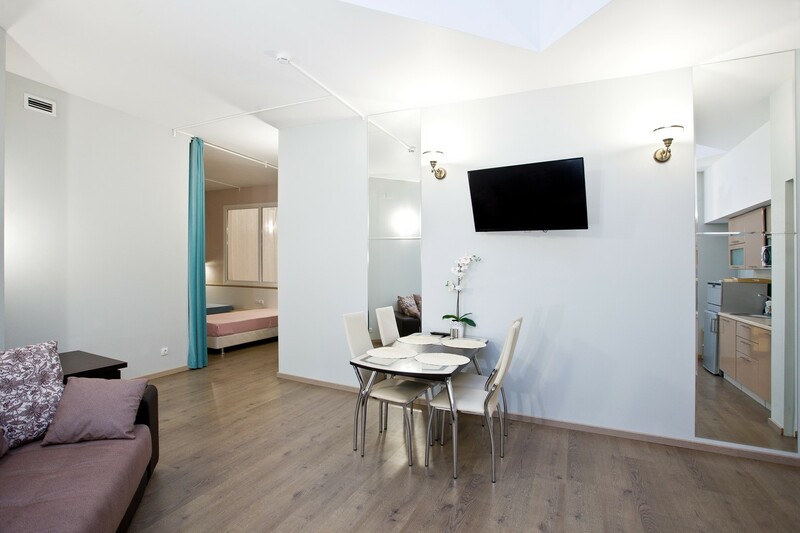 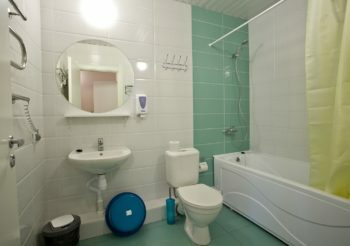 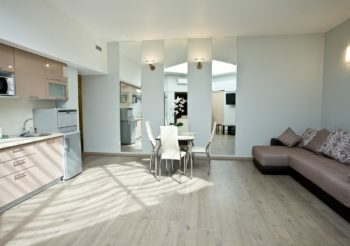 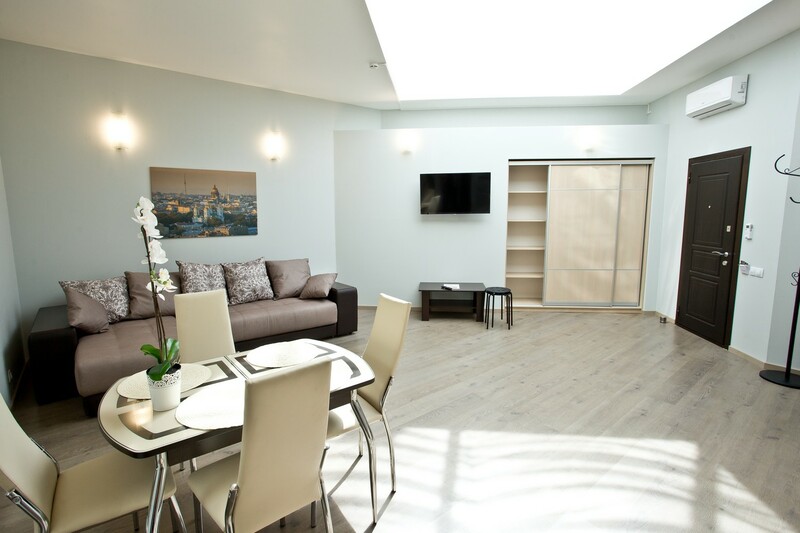 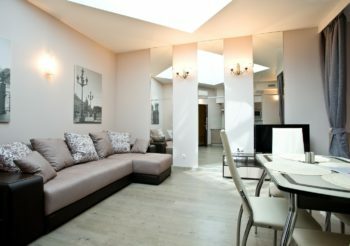 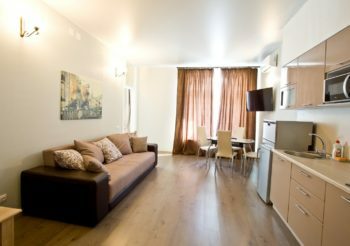 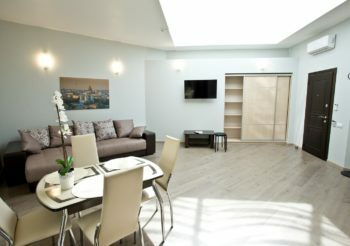 Family room – is a modern apartment with 2 separate rooms, 1 bathroom with a shower and a wet-bar (30 square meters). It’s designed for comfortable accommodation for up to 4 adult guests. The family room is good for a long stay and for families with children. 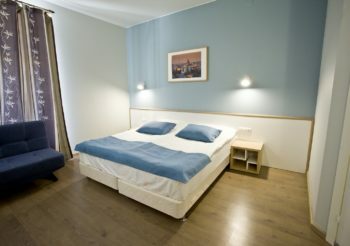 Each room has 2 single or 1 king size bed. 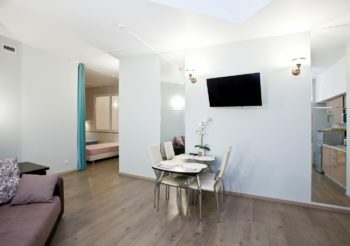 The room is equipped with a phone, TV, air-conditioning. 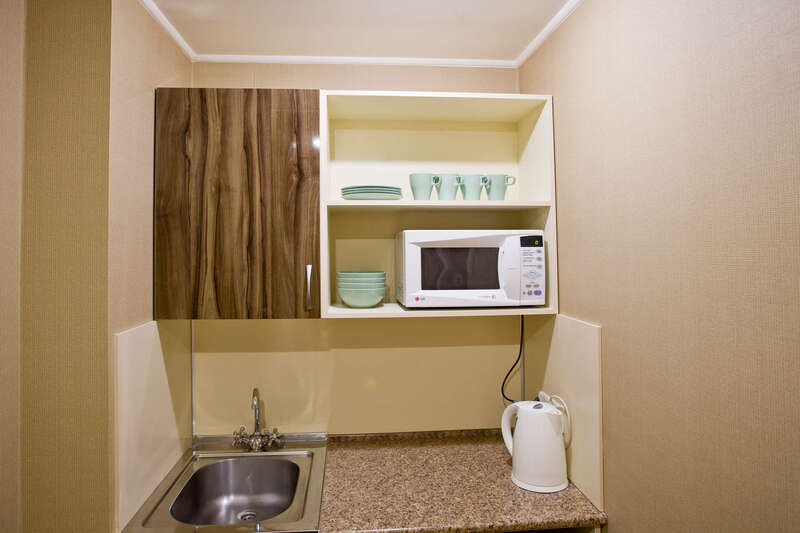 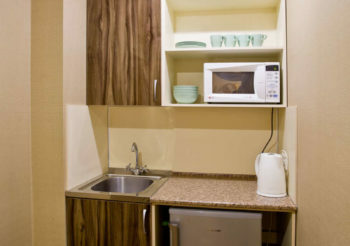 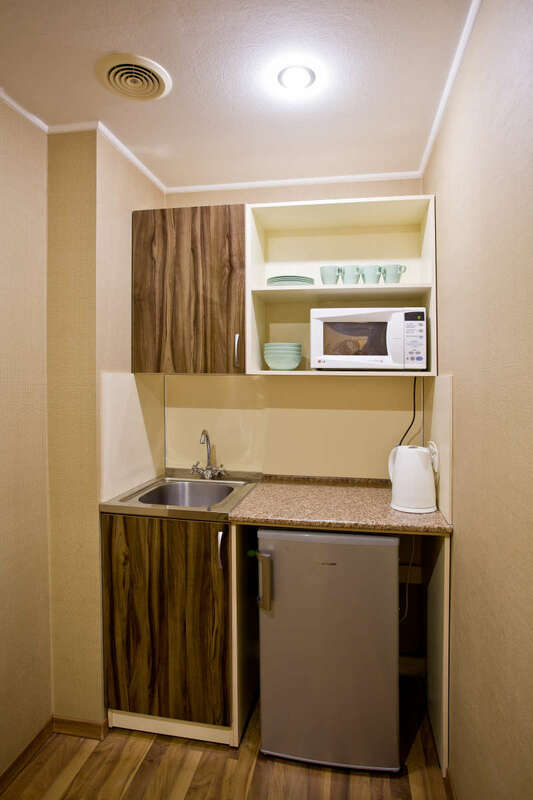 The wet-bar is equipped with dishes, microwave oven, electric kettle, refrigerator, kitchen sink. 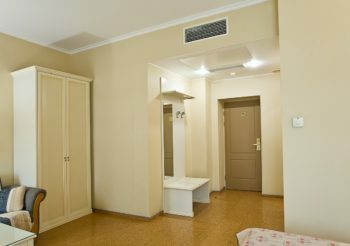 Big room (25 m2) connected to a kitchen area can accommodate up to 3 persons. 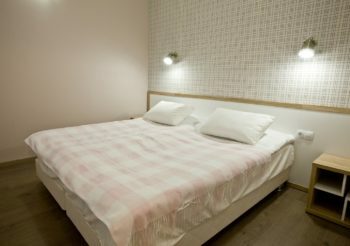 There’s a king-size bed (that can be transformed into 2 singles) and a sofa. 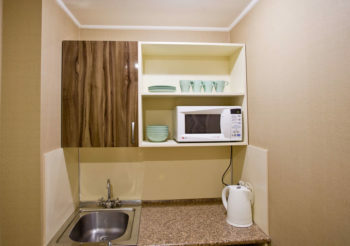 Kitchen is provided with all the needed kitchenware. 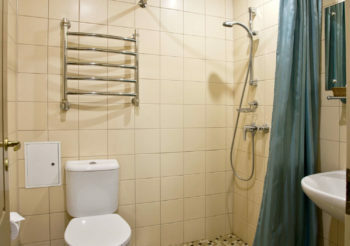 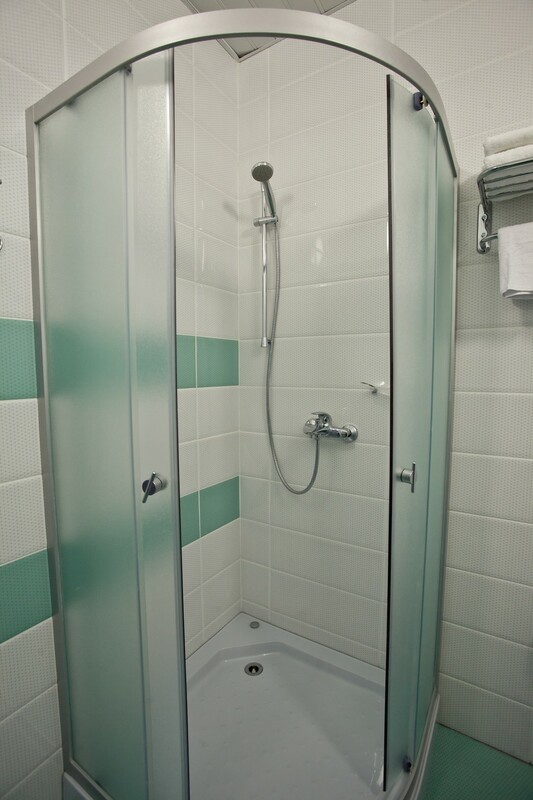 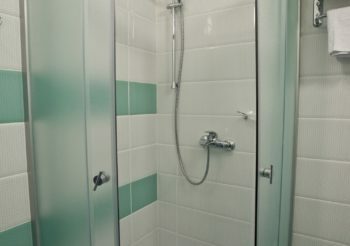 There’s one bathroom with a shower. 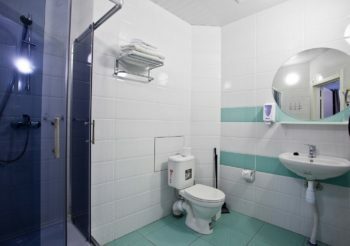 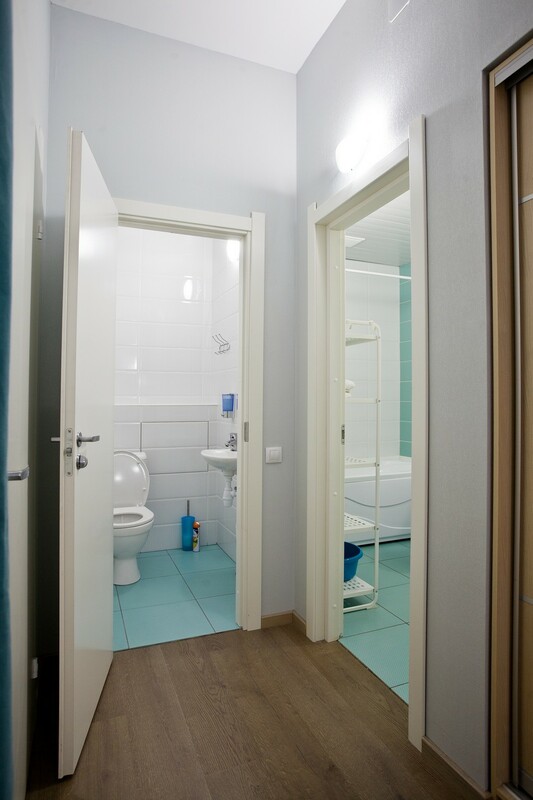 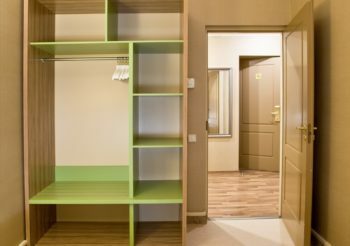 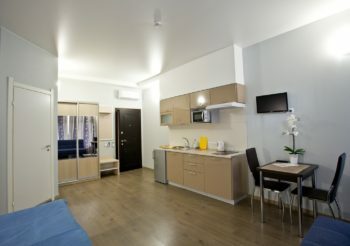 Apartment with a separate bedroom with a bunk bed, a living-room connected to a fully set kitchen and a big bathroom can accommodate up to 6 guests. 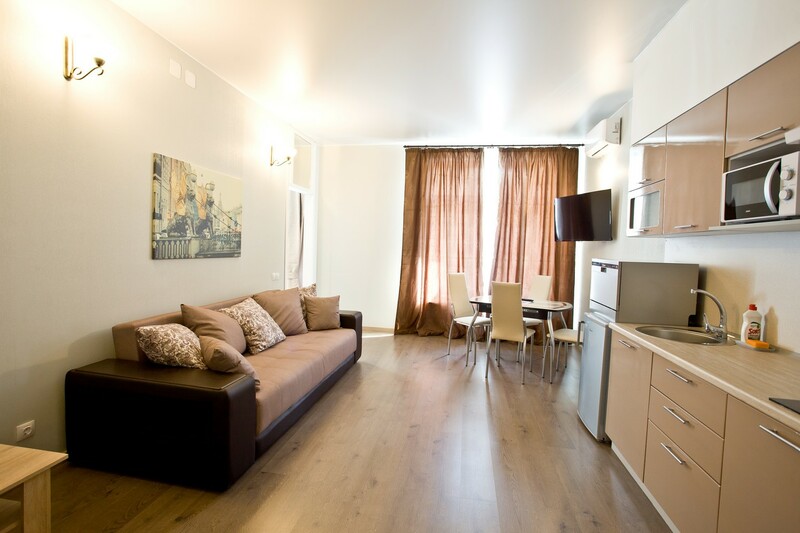 For large companies, a large and comfortable double sofa in the kitchen-living room can be used. 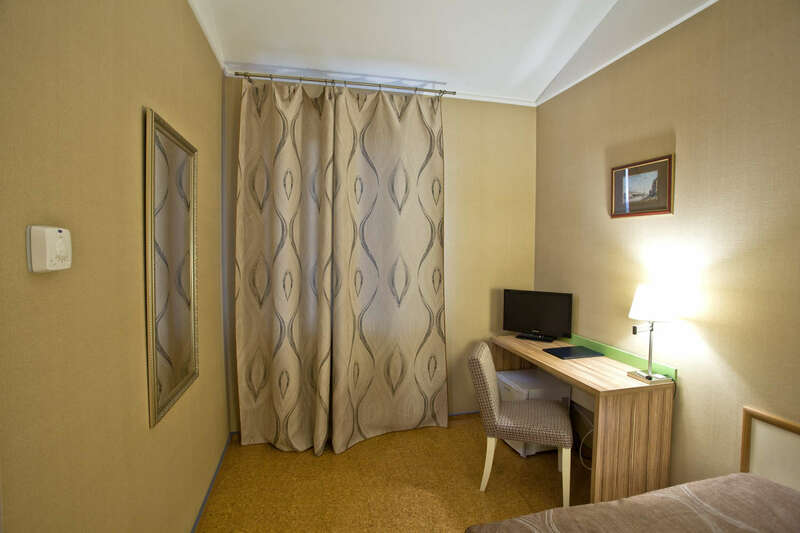 Before booking a room arriving quests are eager to know the cost of hotels in St. Petersburg. 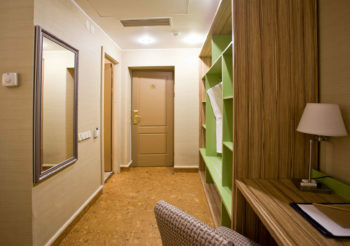 Prices could surprise those who are wishing to book a hotel in St. Petersburg. 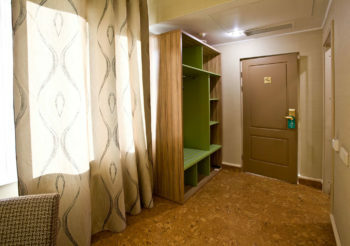 The cost of hotels in St. Petersburg may vary from a relatively small price to impressive. 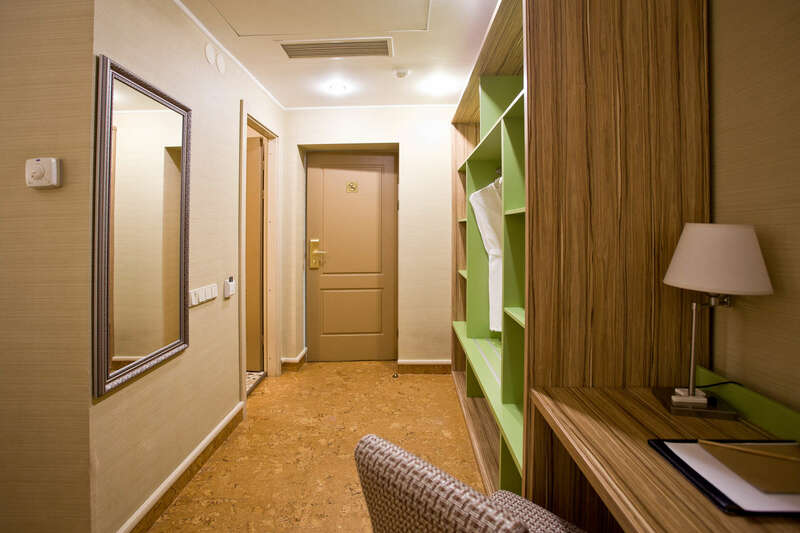 It depends primarily on the level of the hotel, number of stars, on the convenience of location in relation to the center of the city, the quality of service and other factors. 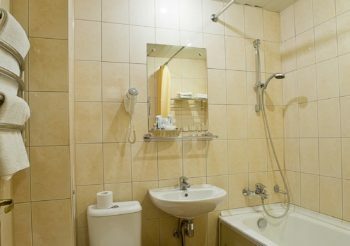 Typically, prices do not cause much negative emotions for tourists who have already visited one of hotels in St. Petersburg. 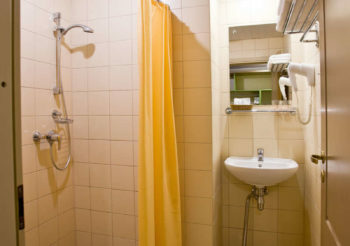 Most often the rate includes breakfast, unlimited internet access, daily housekeeping. 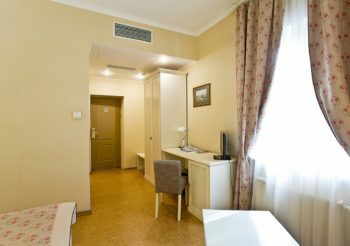 Prices for hotels in St. Petersburg depend not only on the level of the hotel, but also on the season. 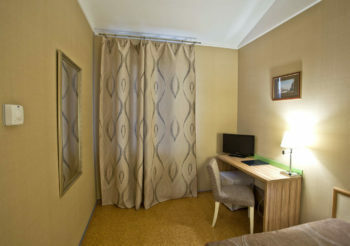 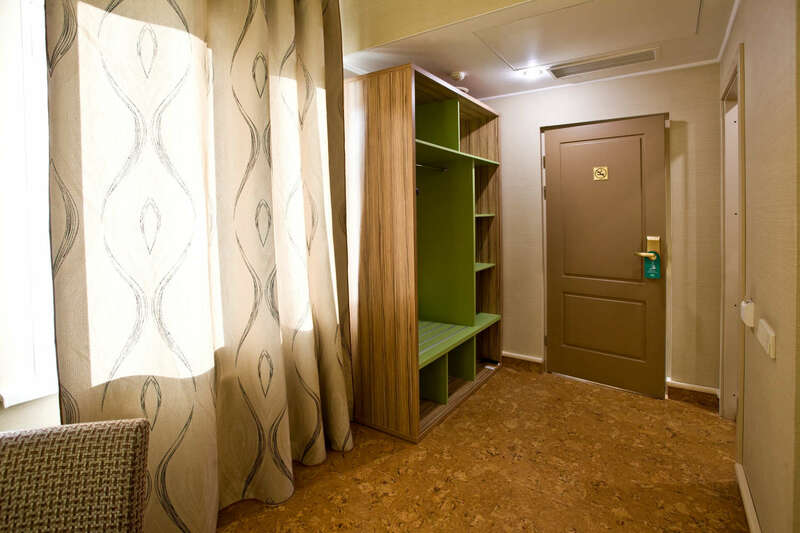 At the same time prices for rooms in the hotel “Cameo” of all hotels in St. Petersburg will pleasantly surprise you. 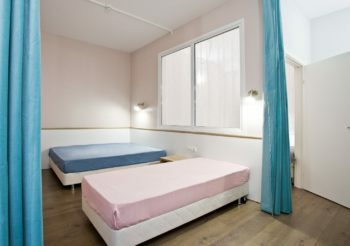 The design of rooms is in pastel tones. 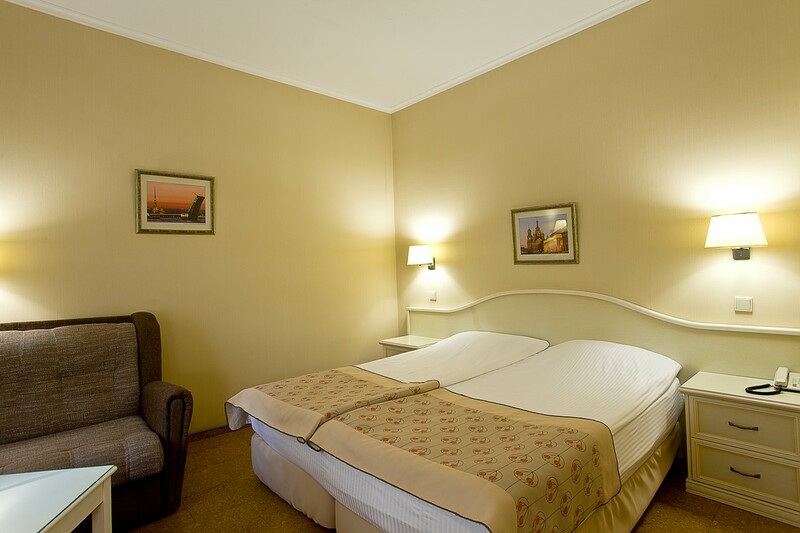 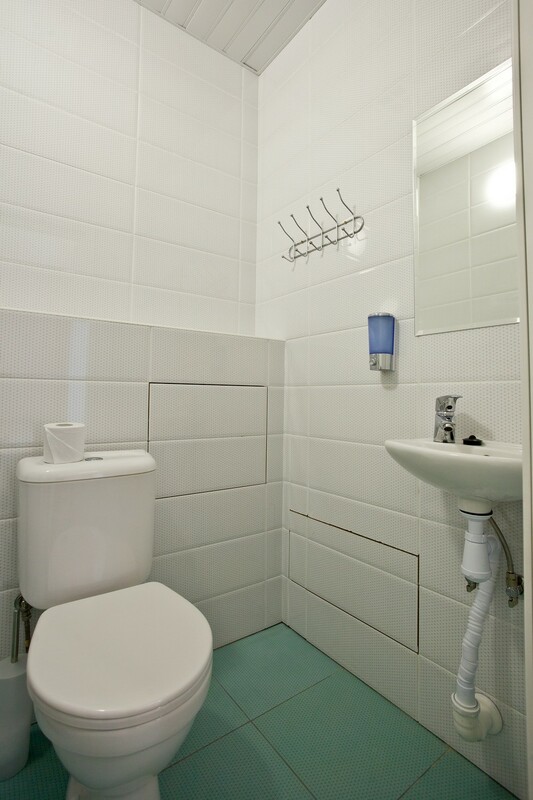 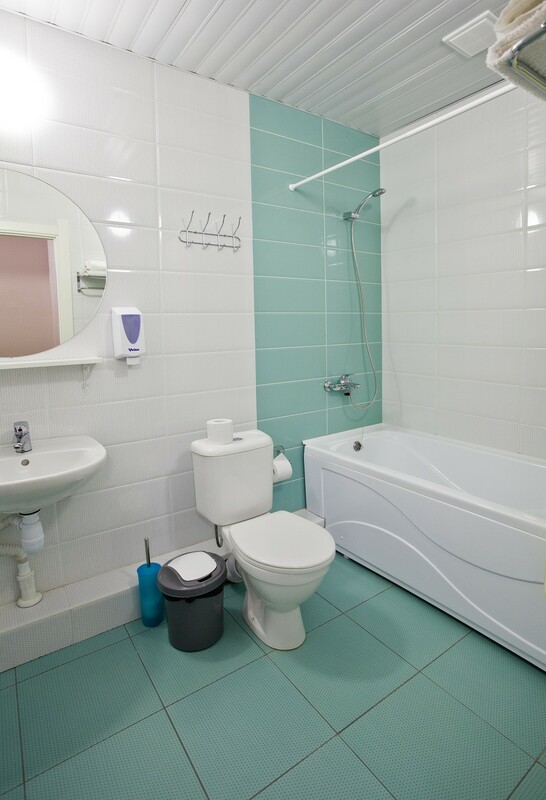 The room has everything you need for your convenience.